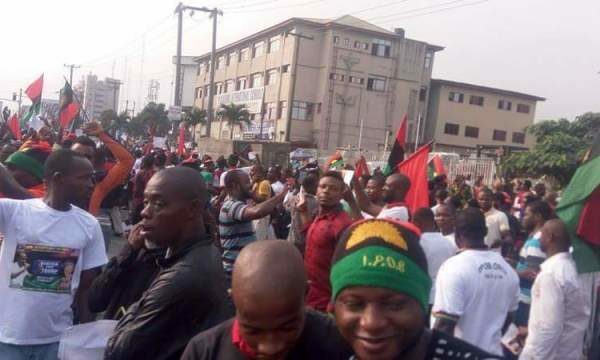 A clash is reported to have occurred between members of the Indigenous People of Biafra (IPOB), Soldiers, and the Hausa community in Oyibo, Rivers State, leaving two persons seriously injured. Channels reports that an unconfirmed number of casualities have been recorded, as well as properties burnt down. 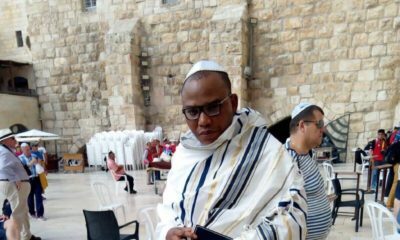 IPOB members had allegedly attacked Hausas in the community, a source told Vanguard. The source said the IPOB members had barricaded the Aba-Port Harcourt expressway, lighting a bonfire in the middle of the road, causing fear in residents. 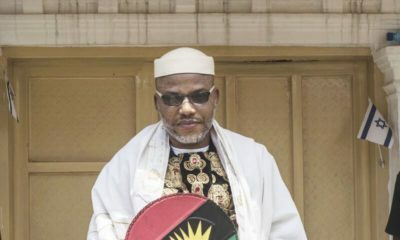 They had reportedly gathered there, at Timber axis of Oyibo, flying Biafra flags and waiting to be joined by other members to move to Umuahia, in Abia state, where members of the group are presently congregating. Colonel Aminu Iliasu, Deputy Director, Public Relations of 6 Division Nigerian Army, told Channels that the army received distress calls from residents, who said IPOB members were “unleashing mayhem” in the area. A deadly confrontation immediately ensued between IPOB members and soldiers and ultimately led to some members venting their anger on the Hausa community in the area. A senior police officer who spoke to Vanguard said two men were seriously injured in what was a clash between IPOB members and the Hausa community in the area. Residents are staying indoors, the police officer said, due to heavy army presence in the area. 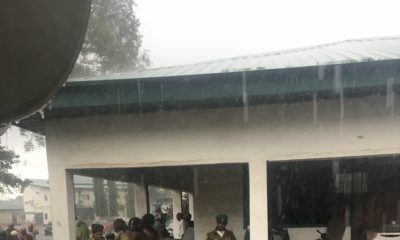 DSP Nnamdi Omoni, Public Relations Officer of the Rivers State Police Command, confirmed the clash, but said the police are still investigating exactly what happened. The parties involved in the clash are unknown at the moment, he said, and the police will release a statement soon as to what transpired. However, Babaji Yahu Tanko, publicity secretary for Arewa Consultative Forum said 3 people died, and several shops belonging to Hausa traders were razed in the clash. Some traders in the area said some Hausa youths were driven away by IPOB members in buses. “We have not heard anything about them. We don’t know if they were later released. But I saw when they bundled some of the wheel barrow boys into waiting vehicles,” a trader said. Peace has since returned to the area, though, Sunday Chukwudi, the chairman of the local government area, saying that law enforcement agents had moved in to guarantee safety of lives and properties. Python dancers? Another faction seeking freedom? lack of jobs and politicians promoting hatred among tribes against tribes is the reason the country is in the situation that its today. But the problem is they are levelling these requests to a people given to extraodinarily extreme millitary (yoruba) whom even Hausa cudnt conquer, and very troublesome nomadic cattle raider war mongering northern clans of Hausa Fullani. so its the case of the very fat kid taking in up with those kids who never enter classroom, shonjust stand hanging around somewhere behind the class getting up to mischief. The problem here is the igbo are no where efen close to prepaired for the trouble the war the damsnge the ruin and shattering, these teo neighboring clans will bring them. I also happen to to the the organiser of IPOB do not BN news, coz this has been addressed many times before.